Climate science is supposed to be settled, right? We are told that there is an overwhelming agreement, or consensus, among scientists that most weather and climate changes that have occurred since the mid-20th century have been caused by human activity — our fossil fuel burning and CO2 emissions in particular. We are told that natural mechanisms that used to dominate are no longer exerting much of any influence on weather or climate anymore. Humans predominantly cause weather and climate changes now. 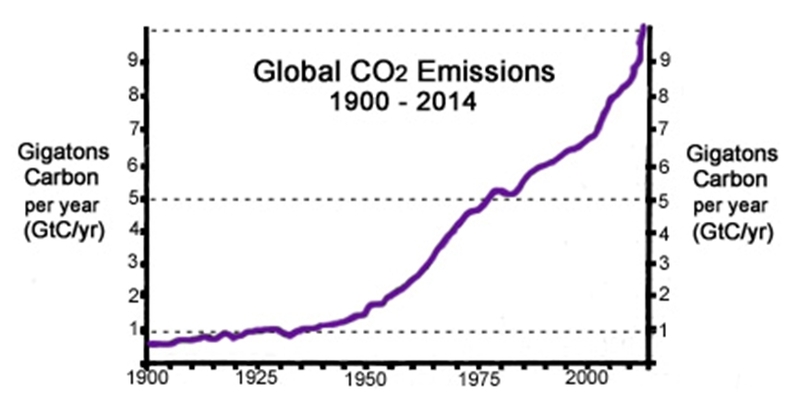 For example, we are told that extreme weather (hurricanes, droughts, floods, storms) frequencies and intensities have increased since about 1950 primarily due to the dramatic rise in anthropogenic CO2 emissions since then. Humans are now melting glaciers and ice sheets and (Arctic) sea ice at an alarmingly accelerated rate — reminiscent of an impending “death spiral“. Humans now heat up and acidify the oceans down to depths of thousands of meters by burning fossil fuels. Humans are now in the process of raising sea levels so that they will catastrophically rise by 10 feet in the next 50 years. Because of our CO2 emissions, humans are now endangering the long-term survival of 100s of thousands of animal species (especially polar bears), and climate models say we will cause a million species extinctions over the next 33 years with our CO2 emissions. The Earth is even spinning slower, or faster, no, slower, well, faster — due to human activities. Again, this is all settled science. Only those who possess the temerity to deny this science (“climate deniers”) would disagree, or refuse to believe. But what if much of what we have been told to believe is not actually true? What if scientists do not overwhelmingly agree that humans have dominated (with ~110% attribution) weather and climate changes since about 1950, which is what we have been told by the UN IPCC? What if scientists do not overwhelmingly agree that natural factors exert effectively no influence on weather and climate changes anymore — now that humans have taken over? These are compelling questions. Because in 2016 alone, 500 peer-reviewed scientific papers published in scholarly journals seriously question just how settled the “consensus” science really is that says anthropogenic or CO2 forcing now dominates weather and climate changes, and non-anthropogenic (natural) factors no longer exert much, if any, role. 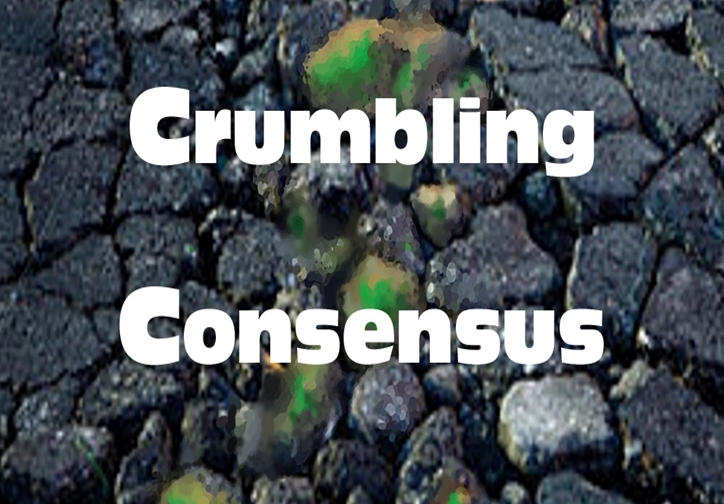 Instead of supporting the “consensus” science one must believe in (to avoid the “climate denier” label), these 500 papers support the position that there are significant limitations and uncertainties inherent in climate modeling and the predictions of future climate catastrophes associated with anthropogenic forcing. Furthermore, these scientific papers strongly suggest that natural factors (the Sun, multi-decadal oceanic oscillations [NAO, AMO/PDO, ENSO], cloud and aerosol albedo variations, etc.) have both in the past and present exerted a significant or dominant influence on weather and climate changes, which means an anthropogenic signal may be much more difficult to detect in the context of such large natural variability. Papers questioning (and undermining) the “consensus” view on paleoclimate (Medieval) warmth, ocean acidification, glacier melt and advance, sea level rise, extreme weather events, past climate forcing mechanisms, climate sensitivity to CO2, etc., are included in this collection. Because of the enormous volume of new papers available that support a skeptical position on anthropogenic climate change alarm, the list of 500 scientific papers with links has been divided into 3 sections, each with its own page (Part 1, Part 2, Part 3). There are 68 graphs included in the volume, most of which are used to demonstrate that “hockey-stick” reconstructions of past temperatures and sea levels relative to today are not supported by available evidence. Despite its size, this list will hopefully be user-friendly and easy to navigate as a bookmarkable reference volume due to its outline (below) and organized categorization. Each paper has an embedded link under the authors’ name(s). Finally, there are 133 papers linking solar activity to weather and climate change (in addition to another ~90 that link natural oceanic/atmospheric oscillations [ENSO, NAO, etc. ], clouds, volcanic activity . . . to climate change). This is of special note because the IPCC has, since its inception, insisted that solar factors play almost no role in modern climate change. 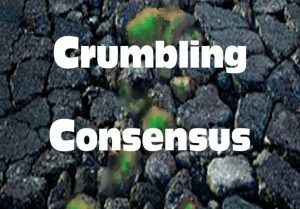 Apparently scientists agree less and less with that “consensus” position. How do we know that these papers are hostile to the global warming ‘dogma’? Have you read and understood them all? What do they say that refutes global warming? Few if any challenge “global warming”. What they tell us, however, is that the hypothesis that “man-made global warming” is leading to a disaster is not supported. This is a site for idiots and morons to peruse but not investigate (it’s been done elsewhere). A disinformation campaign that takes less then 5 seconds to disprove with a simple Google search. This site does not fool anybody but idiots. Pierre Gosselin is a fraud and will remain a fraud followed by fools. You’re right, JR. You have effectively disproved this entire website in a matter of 5 seconds with those two links. Oh that you had been here sooner. JR, you poor, dumb, gullible, little, brain-washed twerp. Citing the Whopper and some rabid propaganda opinion site….. you have GOT TO BE KIDDING ! How about you present some SCIENCE instead of NONSENSE. Your moronic pre-pubescent rants are not fooling anyone but yourself. We seem to be getting more and more of these poor panicky little children as they realise that their fake religion is gradually dying under the burden of reality.